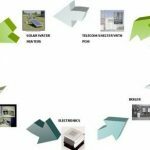 Home / Electronics Articles / What is modulation? 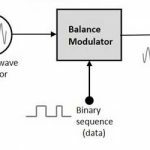 Modulation can be defined as the method of combining an audio frequency signal with a radio frequency carrier wave. 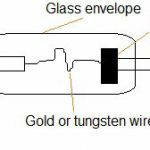 The audio frequency is also known as modulating wave and the resultant wave produced is called as modulated wave. 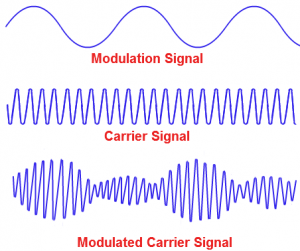 Throughout the modulation, some characteristics of the carrier wave are varied in time with the modulating signal and are accomplished by combining the two. In amplitude modulation, the information or audio frequency signal changes the amplitude of the carrier wave without changing its frequency or phase. 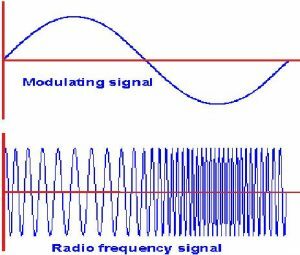 In frequency modulation, the information signal changes the frequency of the carrier wave without changing its amplitude or phase. 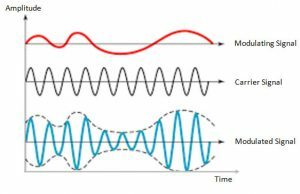 In phase modulation, the information signal changes the phase of the carrier wave without changing its other two parameters. 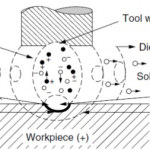 What is mean by PSK ( phase shift keying)?